Hello, I am Lucy, the newest member of team Bump! I mean, what a mine field – the copious amounts of do’s and don’ts are definitely something that splits people down the middle, but to be completely honest I went with my gut and so far, it has been a huge success, as Arthur, who is now 14 months, LOVES his food! 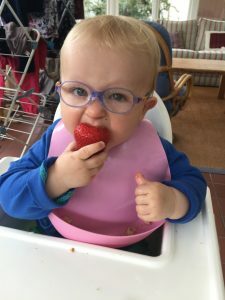 When I started weaning Arthur, I went to a talk on ‘baby led weaning’, which was helpful, but when I asked the question “So is the idea that you can give them anything as their first food, as long as they are exploring it?”. Her response was, “Yes, you could even start with steak and chips”. Hmmm. 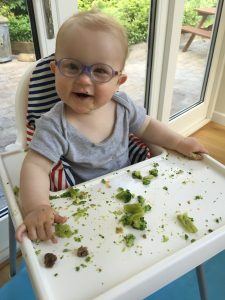 Needless to say I wasn’t confident enough to start Arthur on solids right from the get go, so like many other mothers and fathers, his first food was baby rice, a very mundane mush that I mixed with breast milk and he lapped it up, so I knew he was ready. I went on to do a mixture of baby led and spoon fed feeding, as I felt that then I had a better idea of what actually went into his mouth. There were so many times when I created an assortment of baby lead nibbles, only to find the majority had ended up on the floor! So this way worked for us. 1 Banana and 1 Egg – Yes that is actually it! Mush the banana and mix in the egg until it forms a sort of ‘batter’. I like to use coconut oil to fry the mixture (like you would any other pancake) and voila – there you have it, pancakes! 1 courgette, 1 carrot, 20g of polenta, 2 eggs and a sprinkling of parmesan. Grate the courgette and carrot and mix it in with the polenta, eggs and parmesan. Simply fry the mixture in finger length shapes, again in coconut oil, and serve! 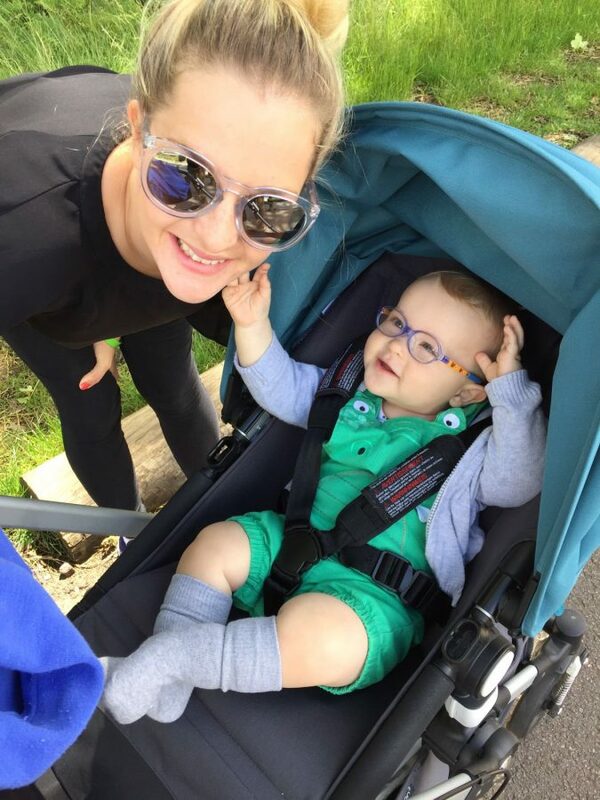 50g Orzo Pasta, 2 Tbsp of full fat cream cheese, 50g tuna, 50g peas, basil, pinch of oregano and you could even throw in some fresh tomatoes if they take your little one’s fancy! Cook the pasta for 10 minutes, you can even throw in the peas into the same water to cook for 5 minutes at the end. Once drained, stir in the cream cheese, tuna, basil, oregano and fresh tomatoes and cook on a low heat for about 2 minutes.